Head of Chechen Republic Ramzan Kadyrov at the plenary session A New Standard in Public Administration: Projects for Growth, Projects for Life at the Sochi International Investment Forum 2016. Chechnya’s controversial strongman leader Ramzan Kadyrov, known for his ultra-patriotic views, has given an interview to the TASS news agency. In these six highlights from the interview, which was published on Nov. 28, Kadyrov gives his point of view on issues as diverse as healthcare, the Russian opposition, Boris Nemtsov’s murder, child fighting, and whether or not he has ever killed a Russian. Speaking about Russia’s enemies, Kadyrov said that “Islamic State and Al-Qaeda have the same parents,” meaning the West. “America and Europe are dreaming of undermining our state by proxy. If they could have their own way, they would have turned Russia into an utter Aleppo,” the Chechen leader said. He is convinced that the West’s efforts targeted against Russia (including sanctions) will end in nothing and that the West will end up asking Russia for help. For the time being, according to Kadyrov, the U.S. and Europe are Russia’s – and therefore his – enemies. “As for personal enemies, I have none! I am the most peaceful person on earth,” he insisted. 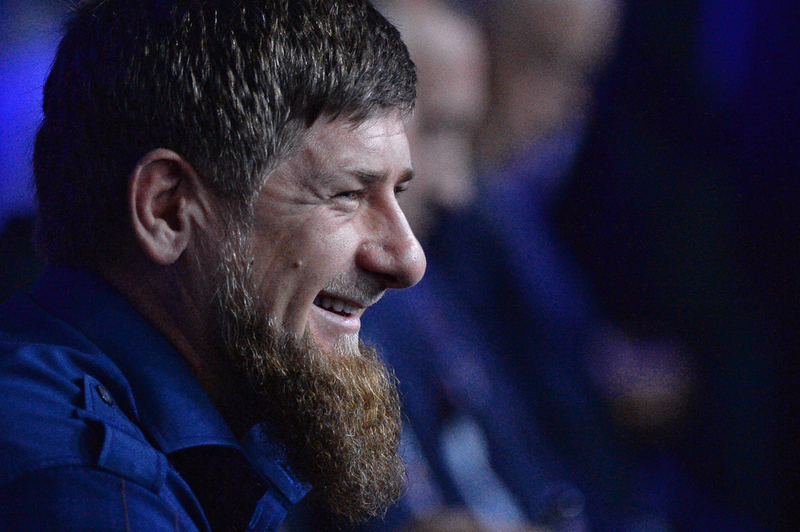 Ramzan Kadyrov has governed Chechnya since 2007 and has earned a reputation as one of the most controversial and notorious members of the Russian establishment. He is known far beyond the Chechen Republic for his constant assurances of loyalty to Vladimir Putin, harsh criticism of the opposition (calling them “shaitans,” after an evil djinn) and tough anti-Western rhetoric. In the TASS interview, Kadyrov once again stressed that he had nothing to do with the murder of Boris Nemtsov, a prominent Russian opposition figure who was gunned down in central Moscow on Feb. 27 2015. Earlier media reports suggested that former members of the Chechen battalion Sever who are standing trial for Nemtsov’s murder had links with Kadyrov. “I had absolutely no links with them. Nemtsov was neither my personal enemy nor my personal friend. Our paths never crossed,” said Kadyrov. According to him, the people behind Nemtsov’s assassination are his “friends” (i.e. members of the opposition), who wanted to get rid of Nemtsov and at the same time frame Kadyrov. Kadyrov was rumored to have said once: “I killed my first Russian when I was 16.” (During the first Chechen war of 1994-1996, Kadyrov fought against the federal troops together with his father Akhmat-haji.) The phrase was attributed (in Russian) to Kadyrov in 2006 by journalist Yulia Latynina. Kadyrov himself never admitted that he had said those words and used the TASS interview to once again deny it: “It is a blatant lie!” According to him, he was indeed by his father’s side during the first Chechen war but he did not kill any Russians, instead he helped to free captured federal servicemen. “I’ll be damned if I cannot be trusted on what happened! I have nothing to hide. I repeat: I went with my father. And he saved many servicemen’s lives,” said Kadyrov. One of the latest scandals around Kadyrov was a controversy over a mixed martial arts (MMA) tournament involving children (including Kadyrov’s sons) that was organized by the Akhmat club in Grozny. Russian fighter Fedor Emelianenko, a four-time MMA world champion, condemned child fights, provoking a harsh reaction from Kadyrov himself and from his supporters, while Emelianenko’s daughter was beaten up in Moscow. Earlier Ramzan Kadyrov vehemently condemned those who had attacked Emelianenko’s daughter. Yet, he is convinced that in the debate about whether children can take part in MMA fights the truth is on his side. “The referee was a children’s coach, who knew when to stop the fight so that nobody got hurt by accident. Everybody was pleased in end, everybody apart from Fedor,” he said. “My form of treatment is to read the Koran,” the Chechen leader said. “Even if my finger hurts, I read a prayer.” He then went on to cite several cases when cancer patients were miraculously cured through reading the Koran. “I am not saying that there is no need to develop traditional medicine,” he insisted. According to him, Chechnya is actively developing its healthcare sector. However, he added, one should not disregard Allah’s words either.